Spring, summer, autumn, and winter: bath time is all year round! 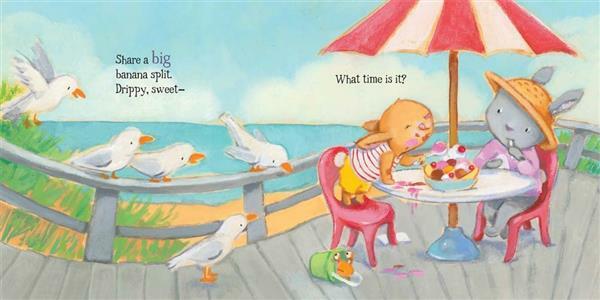 In this follow-up to Time for a Hug—now available in a sturdy board edition—little bunny goes through the year splashing in puddles, rolling in grass and dirt, dripping a banana split, doing art projects, and more. 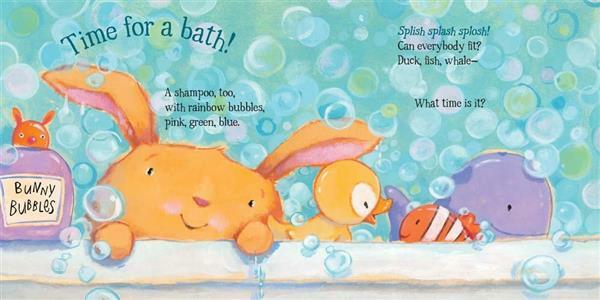 This sweet story shows young readers it’s OK to get grimy—because it’s always time for fun in the bath! 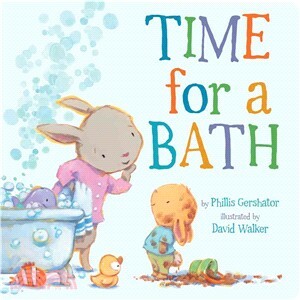 Phillis Gershator has written many picture books for children, including When It Starts to Snow (Henry Holt), Listen, Listen (Barefoot Books), and Time for a Hug (Sterling). Phillis worked as a children's librarian for the Brooklyn Public Library and the St. Thomas/St. John Department of Education. She lives with her husband and frequent coauthor, David, in the US Virgin Islands. For more information about Phillis, see phillisgershator.com. 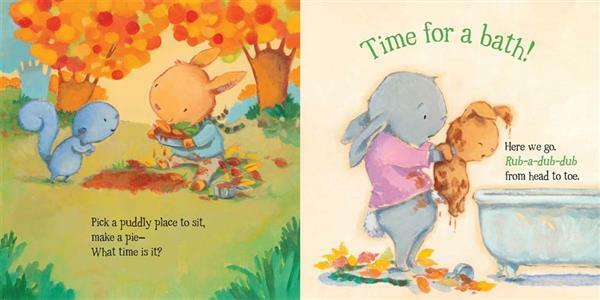 David Walker is the illustrator of numerous children's books, including Before You Were Mine (Putnam), Time for a Hug (Sterling), and Bears on Chairs (Candlewick) to name a few. When not walking his dogs or laughing with his kids, he can be found painting in his studio in Chapel Hill, NC. To see more of David's work, please visit his website at davidwalkerstudios.com.